After months of negotiations, Sony Pictures TV and AMC have worked out a deal for a Breaking Bad spin-off series. Tentatively called Better Call Saul, the one-hour prequel series will revolve around Bob Odenkirk‘s Saul Goodman character and will take place before the sleezy lawyer ever met Walter White (Bryan Cranston). Deadline reports that Better Call Saul has a series order pending some final details that need to be worked out with Breaking Bad creator Vince Gilligan, writer-producer (and Saul creator) Peter Gould, and Odenkirk. The deal supposedly came down to the wire with Netflix and others ready to pounce on the series if AMC passed. What do you think? Do you like this idea? 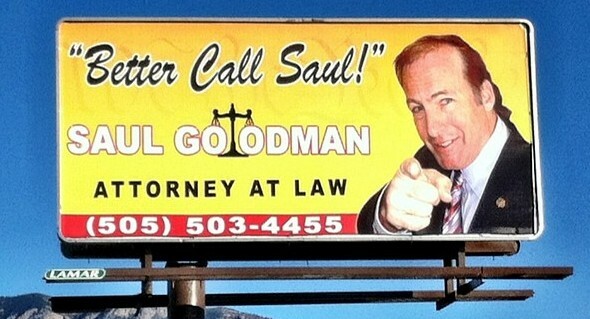 Will you tune in for Better Call Saul?